Finally finished my budget build this weekend, and I have to say I am pretty excited to have a new bike choice. Some background. I ride road/paths to work 3-5 days a week, on a cyclocross bike, and by the time the weekend rolls around I am sick of asphalt...This is my first MTB and first bike build, and I decided to go SS. 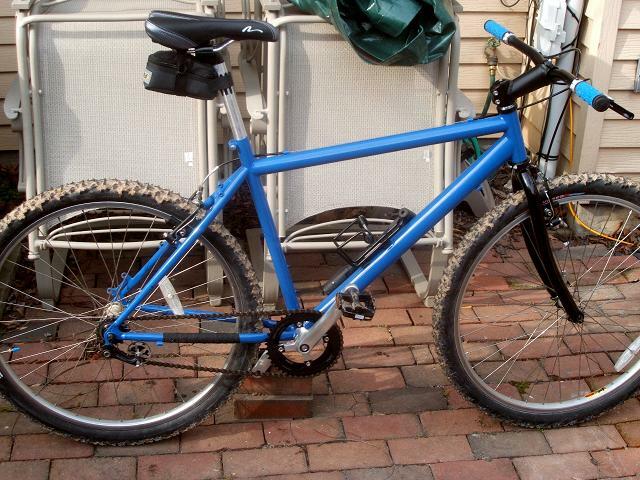 Actually, it's a dinglespeed, with 42/36 up front and 16/18 in the back, giving me a town gear and a trail gear. To switch gears I just move the chain and adjust the pulley on the Singleator. I also have a 20t cog to throw on there in the future, if I need to gear down a bit. Major components: Nashbar steel frame, NYC bikes fork, Avid SD 5's, FSA Pig headset, Salsa chainrings, Surly Singleator (push-down mode now, but I have a pull-up spring ordered). All in all I put about $375 into it, over the course of 3+ months, thru a combo of eBay, Nashbar, and Craigslist, with a total of about $225 out of pocket, after accounting for a few gift cards and cash gifts. Took it out for a shakedown ride on Saturday, just about 3 easy miles or so, to make sure it didn't fall apart under me. Felt good, though I need to do some tweaking to the seat position and height, and let some air out of the tires, had some harsh bouncing around on the frozen ground. Didn't get to ride yesterday because I was getting ready for our super bowl party and waiting around for a guy to deliver firewood, who never showed up. 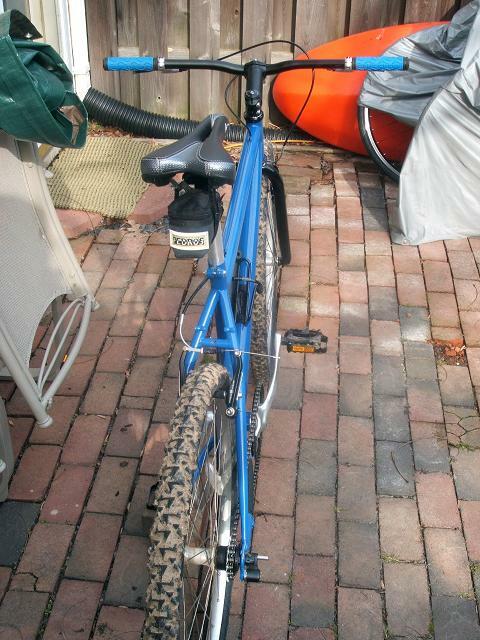 Looking fwd to next weekend and future rides- may even ride it to work one day this week instead of my normal commuter. Last edited by knucklesandwich; 02-05-2007 at 09:49 AM. SS as your first mountain bike, I love it. 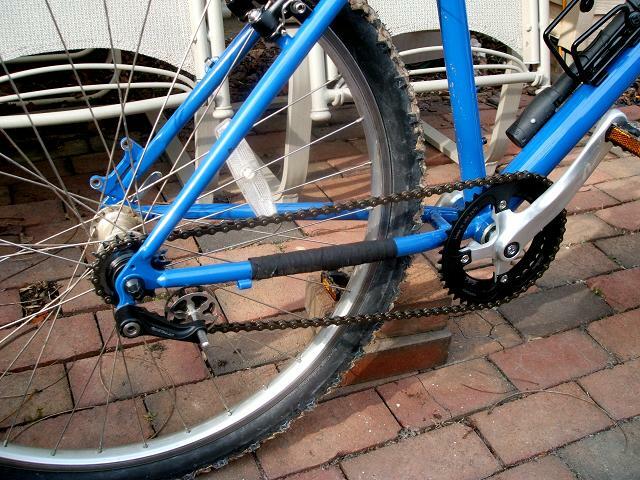 Just play with the gearing until you find one that works best for you and where you ride. 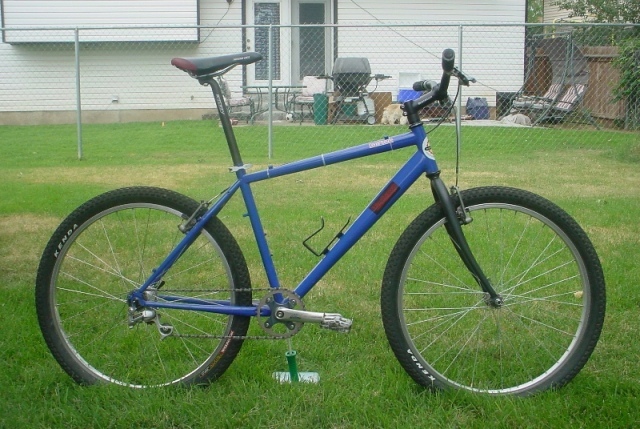 All that a singlespeed should be,but i would shorten the front brake housing before you hook an aeroplane out the sky. Running it as a dingle, you might find the tensioner works better in the push-down mode. The reflectors will be shed soon, and the front brake line shortened. CB2, what's the benefit of keeping the tensioner in down mode vs. up if running a dinglespeed? I like the build. I also own a nashbar frame (older one w/o disc mounts) and it has been a good beater bike with many different incarnations since I bought it. I was looking at NYC bikes site the other day, and didn't see a 26" curved blade fork. Did it come from ebay? I was looking at the straight one, but am waiting for info on a-c, weight, etc. 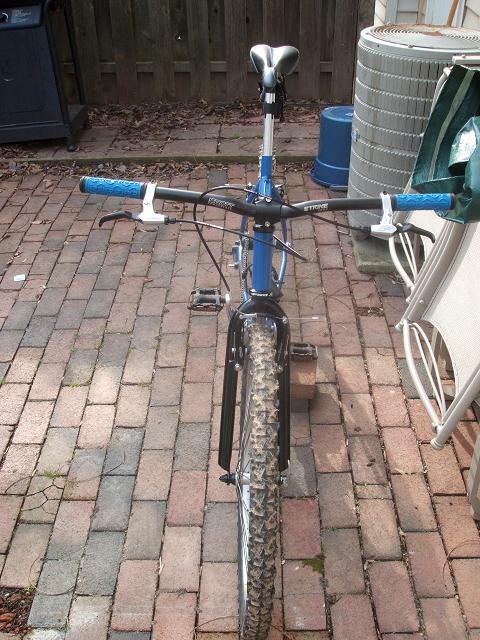 How is the quality on the fork, and does it ride fairly smooth? Just curious. You know how there's two sets of menus down the left side of the NYCbikes site? This fork is under the second set labeled warehouse or closeouts or something. Rigid raked mountain fork, 410mm A-C, came in at 37oz per my wife's kitchen scale. nice keep me posted on yer pregress w/ it.nashbar finally got my m/o tuesday (took almost 2 weex,mailed it from less than 50 mi away! ),but still waitin onit to get shipped...i already tore down/rebuilt the donor (fer most of the parts),like a zillion times outta anxiousness .may be awhile before i get ta ride mine tho (loooong story),till i heal up a bit,but EXPLETIVE DELETED ( ),i'm anxious to get on the snowy trail!! !